A reader wrote in to describe experiencing side effects after switching from a name brand high blood pressure drug to a generic version. Patients should know that this is a real phenomenon, and is not "in your head." Though rare, I have seen patients who had no problems with a name brand drug develop certain side effects when switched to generic versions. These side effects were all mild things like a headache and upset stomach and usually went away in a short period of time. On a few occasions, though, the side effects persisted long enough that the patient was switched back to the name brand drug. 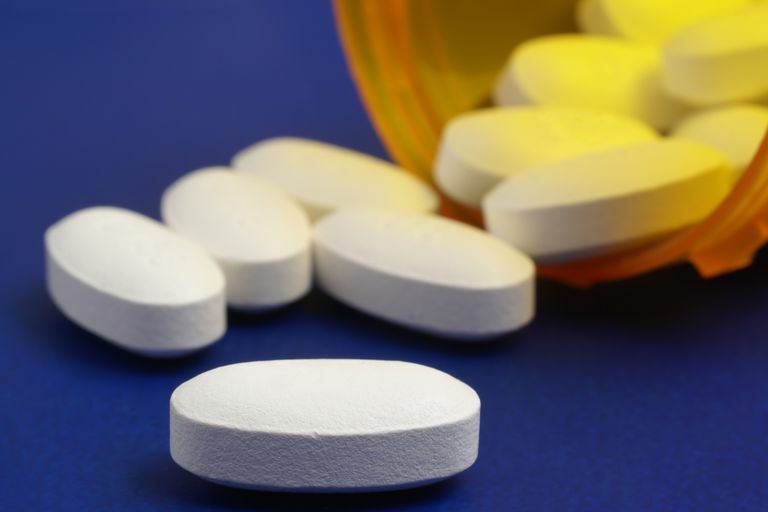 Though federal law strictly mandates that name brand and generic drugs must contain equal amounts of identical active ingredients, different generic drugs contain different inactive ingredients. The ingredients used to increase the size of pills to usable dimensions (you would barely be able to see a pill that actually weighed 25mg) vary from manufacturer to manufacturer. Sometimes, patients may have an unexpected sensitivity to one of these "filler" ingredients or to the agents used to color the pills. Other times, certain physical properties of the pill might be different between the name brand and generic versions. For example, one might dissolve more quickly in the stomach. This is a little bit complicated, because the law says that the actual bioavailability of the generic drug must be the same as the name brand, but it is possible to make pills that dissolve more quickly in the stomach while the active ingredient is still absorbed from the stomach at the same rate. For some medications, even though the drug isn't leaving the stomach at a different rate, having a relatively high concentration of active ingredient "sitting" in the stomach can cause irritation that leads to upset stomach or nausea. Very rarely, patients may actually be allergic to one or more of the inactive ingredients used in generic medicines. If you are having side effects after being switched to a generic drug, the first thing to do is wait a while. You might just need a little time to adjust to the new formulation. But this shouldn't take longer than a week or two, so if you're still having the side effects after waiting for that long, make an appointment to see your doctor. In some cases, there may be more than one generic formulation of the drug available, which means that you can try another generic and see if the side effects go away. If there are no other generics, it might be necessary to switch back to the name brand drug. If you have to switch back to the name brand, most insurance companies will require something called a "pre-authorization" from your doctor before they will pay for the prescription. A pre-authorization is a form that your doctor has to fill out which documents the medical reason that the name brand drug is required instead of the cheaper generic. Your doctor will be familiar with this procedure and can usually get tentative authorization from the insurance company over the phone, so you can fill your prescription without waiting for forms to be mailed back and forth. Though sensitivity to certain generic drugs does occur, this is rare. The vast majority of people have no problems when switching from a brand-name to a generic drug. Even when side effects do occur, they are mild. Generics are a safe, effective and less expensive treatment option.